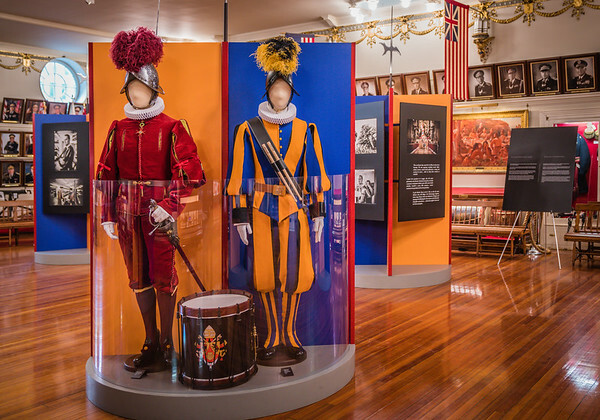 As with the Swiss Guard itself, the exhibition is filled with colorful displays. 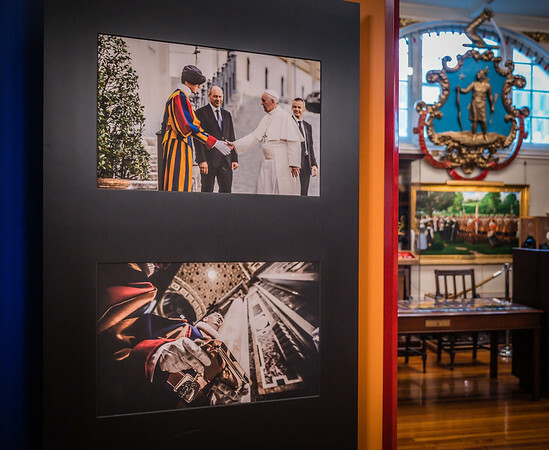 Recent photographs include those with Pope Francis. 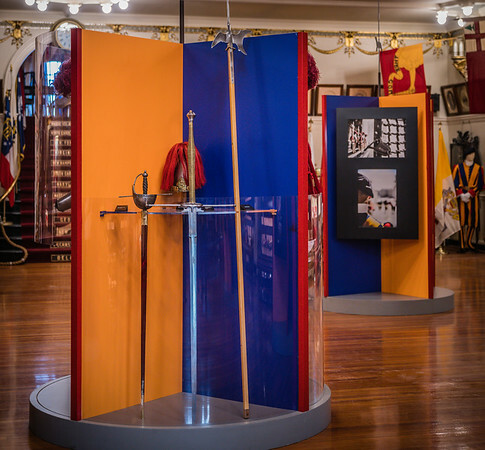 Swords and armor form some of the exhibition. 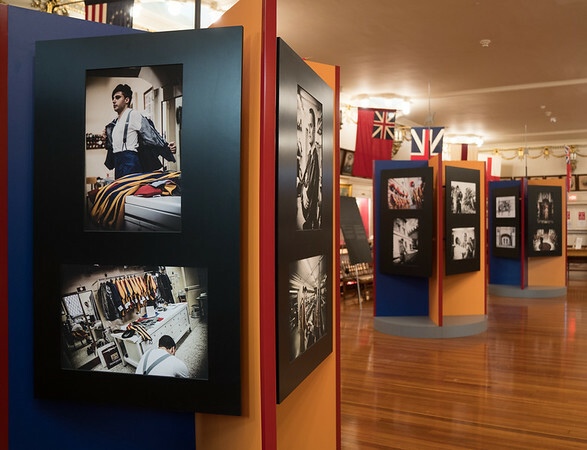 Over 80 photographs are on display as part of the exhibit. 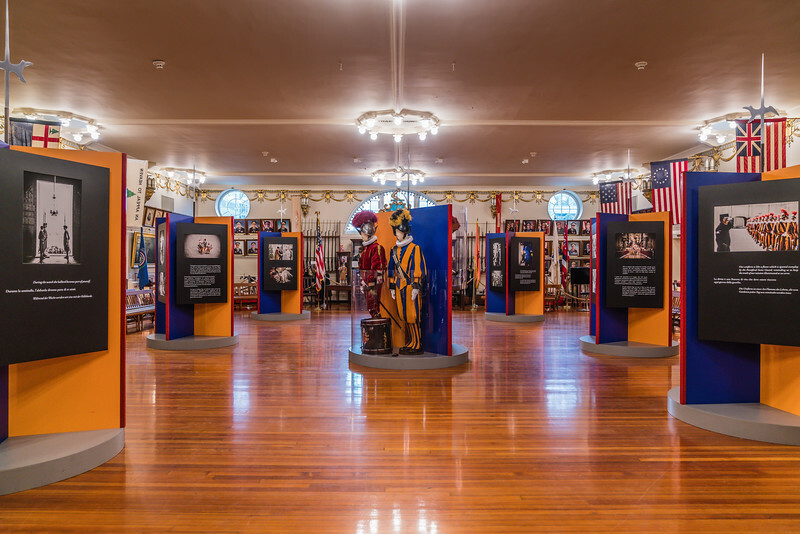 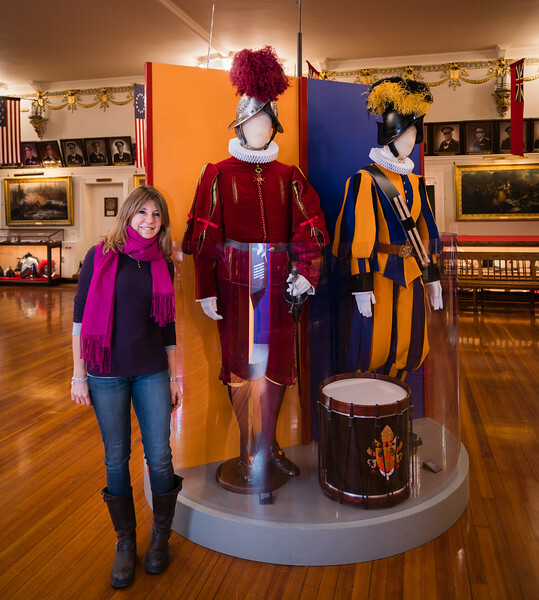 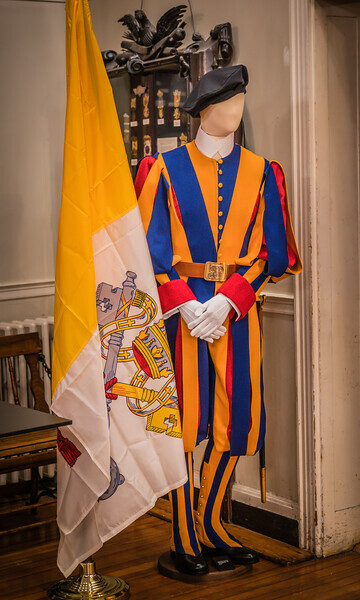 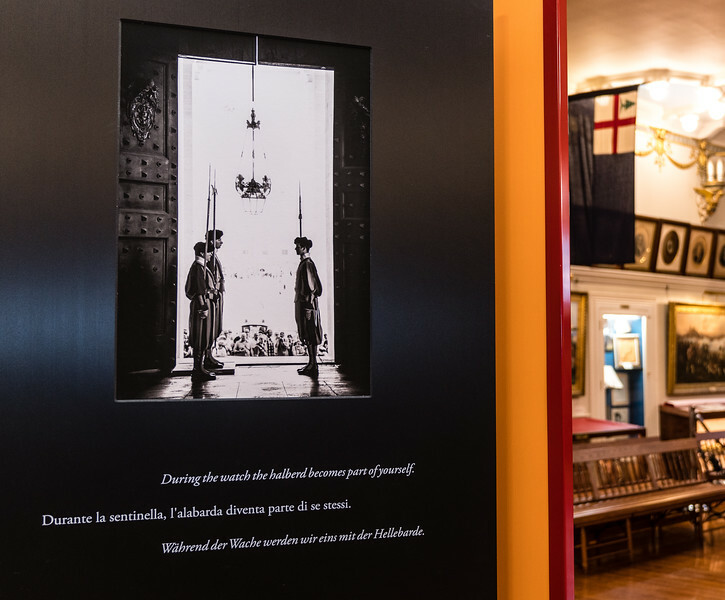 Life of a Swiss Guard exhibit fills the 4th Floor Museum of the Ancient and Honorable Artillery Company at Faneuil Hall. The photographs are extended with powerful quotations regarding the Swiss Guard. 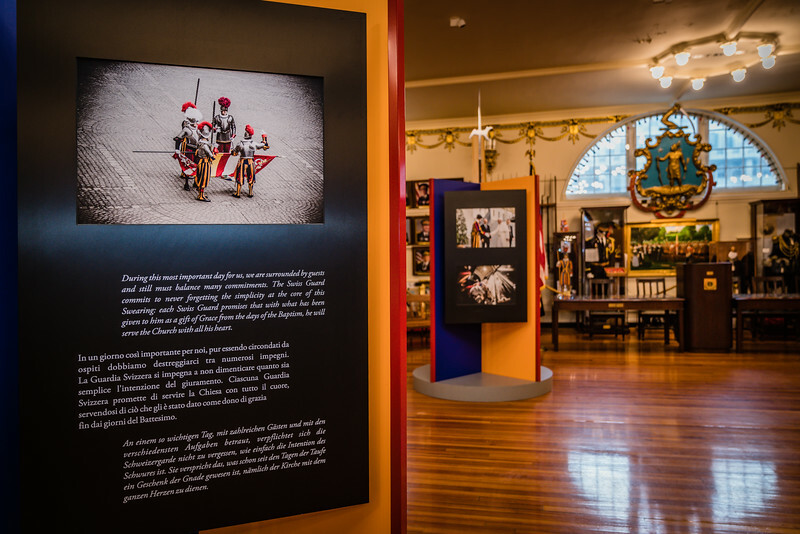 Exhibit displays include stories of the Swiss Guard committments.